Alice Petherton knows well what happens when you displease the King, she's seen the rise and fall of numerous people during Henry's reign, after all. Alice is the king's current favourite, his mistress of several years. She enjoys the protection and luxuries that are provided for her, but she must be careful for she has seen the fates of Henry's first wives and her predecessors as mistress. Henry can be a doting King, but is very dangerous when crossed. 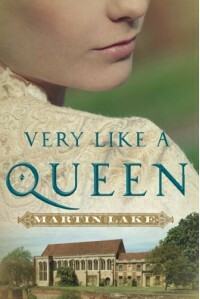 Very Like a Queen, that latest novel from Martin Lake, is a beautifully woven story of one woman's desires to live the live she desires, while being tightly confined by the whims of a tyrant. Alice loved the King, or so she believed, until she met the Frenchman Nicholas Bourbon. When Alice's only true ally and confidant is killed on Henry's command, Alice must flee England to protect herself. But will she ever truly be safe from the long arms on Henry? Alice hopes so, as she tries to find safety under the protection of Emperor Charles of France. But she finds herself never truly safe, as she must flee France to return to England and again put herself at the capricious whims of Henry. Very Like a Queen is rooted soundly in history, with a number of true historical figures guiding the story. Alice is an amalgam of several of Henry's mistresses, and is portrayed quite realistically. There is a great secret in Alice's past that is hinted about, but never actually revealed, which makes her even more human. I've read a number of books about the varying women in Henry's life, and this one is a little different. 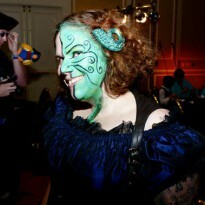 I feel that it's a little more human, that it plays upon the emotions and desires more than some others. I'd certainly recommend it to others who like historical fiction, historical romance, and the general time of Henry VIII's reign. It's not a deep historical book, so it may not be great for scholars, as it's not completely historically accurate. However, for the casual Tudor fan, it was highly enjoyable. I was provided an ARC of this book by the publisher for an honest review.